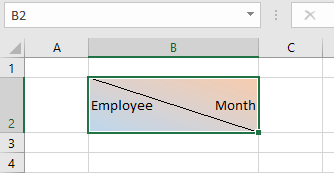 Do you want to know how to split a cell in half in Excel (both diagonally and horizontally)? 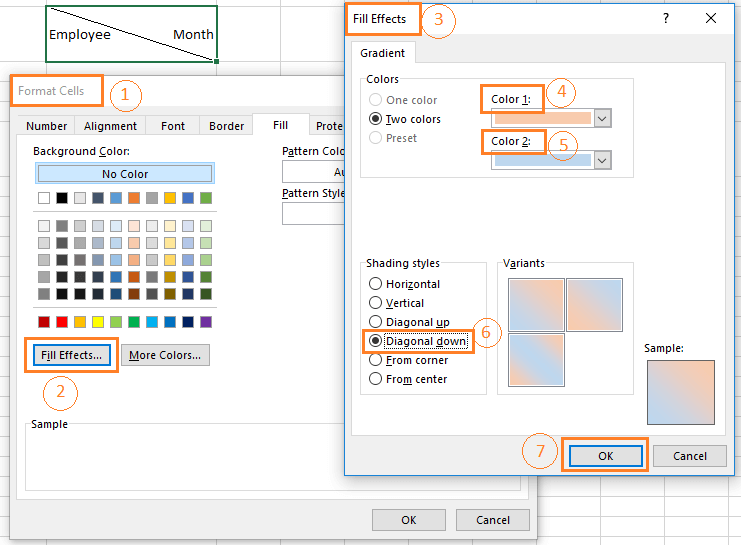 Want to know how to split a single cell diagonally with two background colors? After splitting a single cell in half, you want to place text in one part and insert a link in other? This is the best-researched guide on the above topics. This is the best method to split a cell in half (diagonally). Why? See the GIF image (below). You see that whatever change I make with the cell; the format is not changing. That is what you want, right? Let me show you how you can split a cell in that way. It is very easy. In this dialog box, select the Distributed (Indent) option from the Horizontal menu and Center option from the Vertical menu. Now open the Border tab and select the diagonal down border (image below). You can choose also Border Line Style and Border Color from this window. And finally, click on the OK button. And you are done. Here is the output. 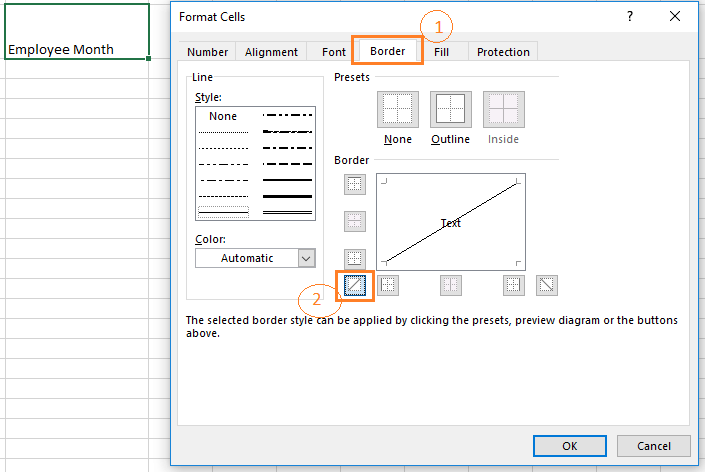 To split a cell in diagonally up way, choose this border option from the Border tab. 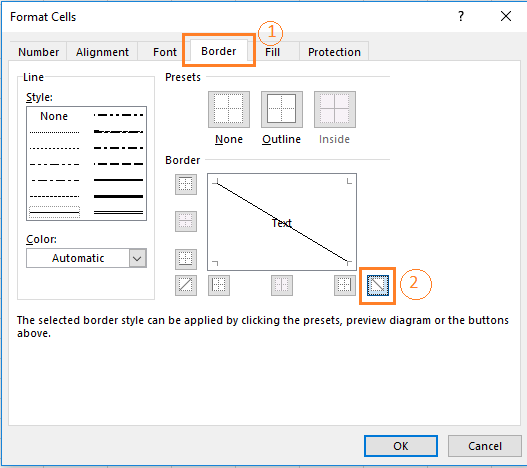 Let me show you how you can split a cell diagonally with two background colors. You’re done. Here is the output. 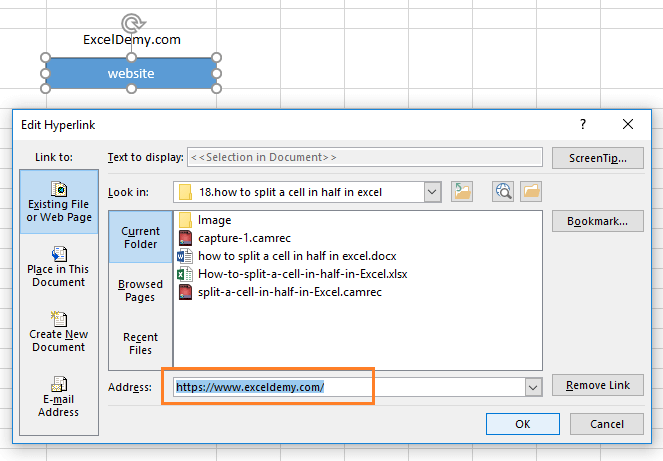 This is another method of splitting a cell in half in Excel. We shall use Right Triangle Object to split a cell half in this way. 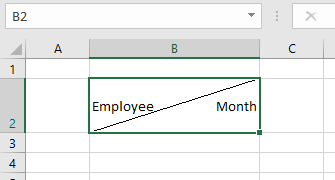 Select a cell that you want to split and input one word (Employee) and make it Top Align. Press and hold Alt key and place the Right Triangle into the cell. 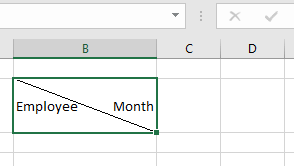 Then Flip the triangle horizontally and input the second word (Month). All the above steps are narrated in the following GIF image. Using the above method, we can also split a cell in half horizontally. See the image below. I have used the Rectangle to draw the object into the cell. And then I have input a link to the object. 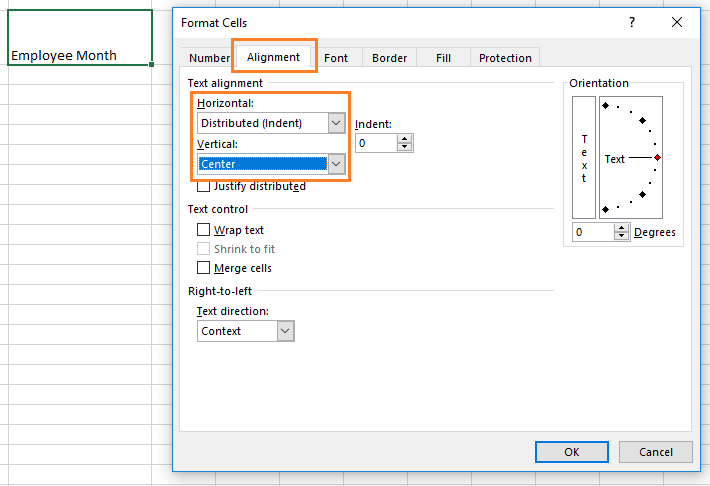 So, these are my ways to split a cell in half in Excel. I showed both ways: diagonally and horizontally. Do you know a better way? Let me know in the comment box. Hope you like this blog post.